Ermahgerd! 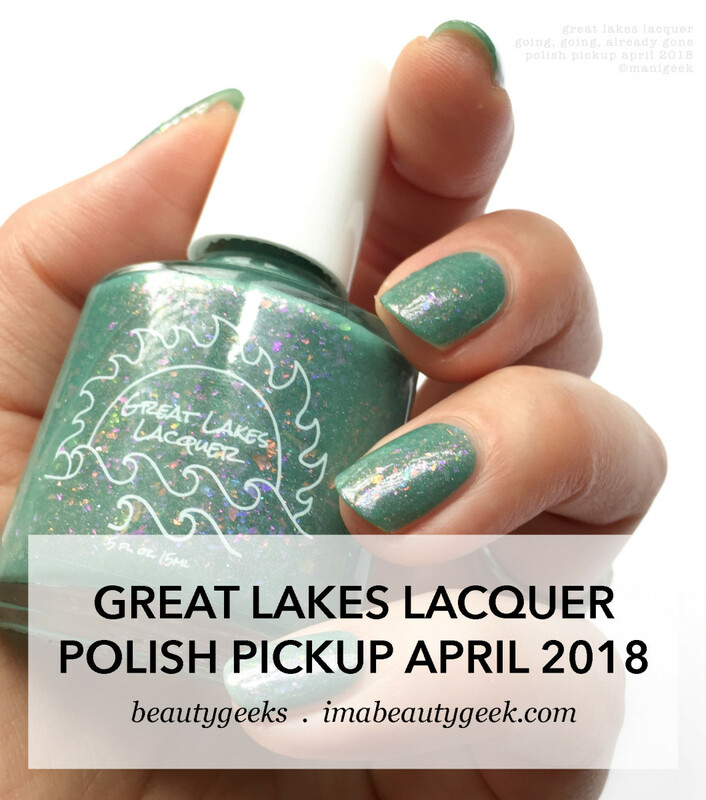 It’s nearly time for Polish PickUp April 2018! 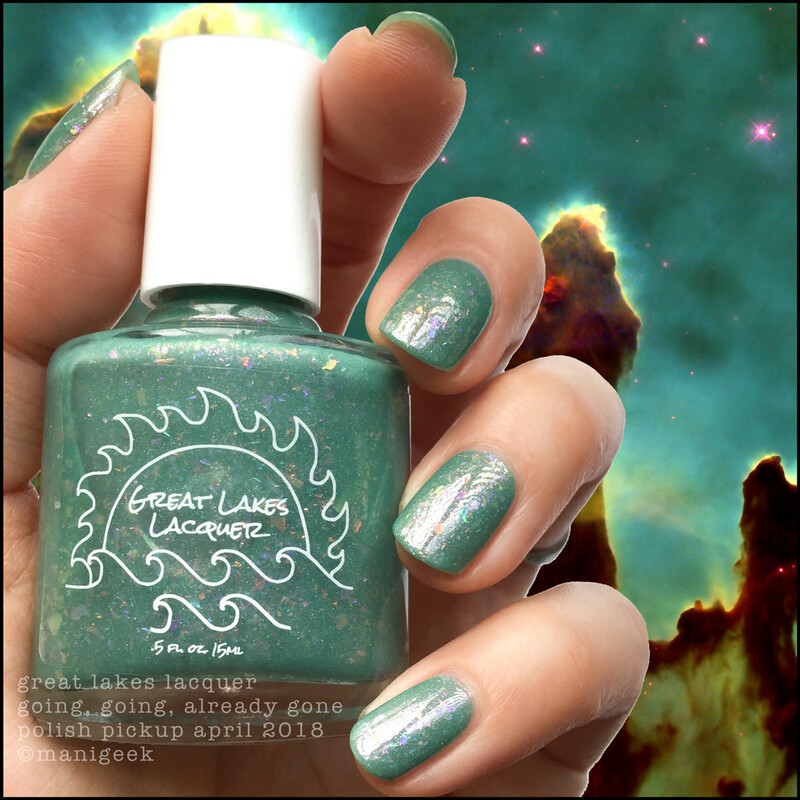 Today, the Great Lakes Lacquer contribution, so take a look and mark your calendar, people! The April 2018 Polish PickUp theme is Across the Universe – Planets & Galaxies (aka space), and Mariah used a beautiful Hubble telescope photo as her springboard. Lemme show it to you! 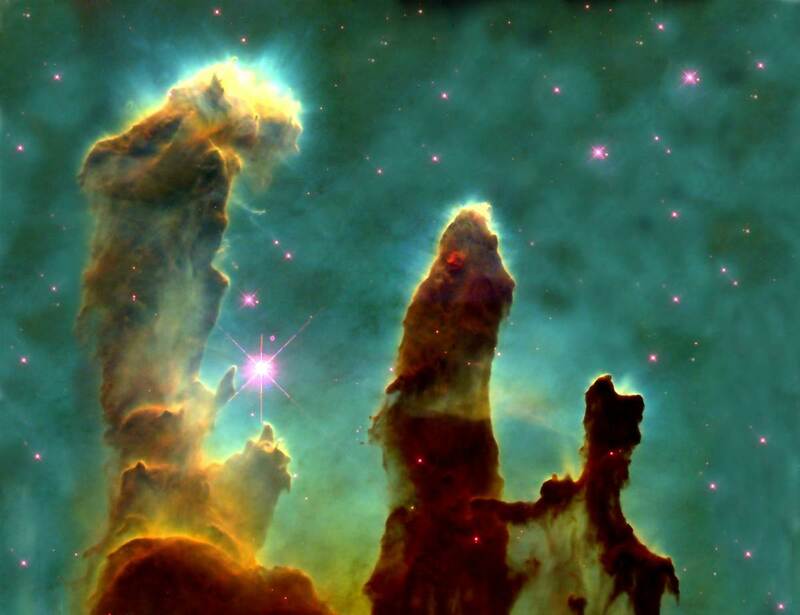 It’s called Pillars of Creation and you can read all about it here. 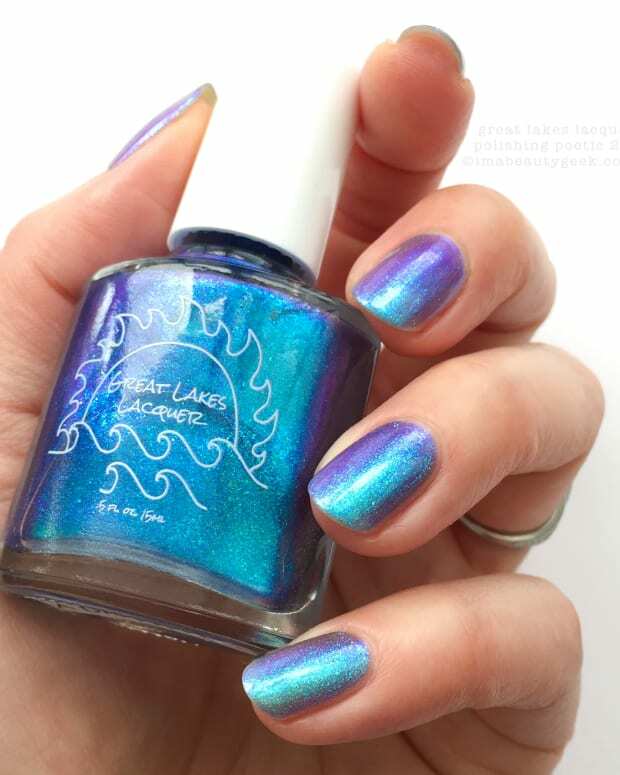 Lookit how amazeballz the polish came out with that photo as her inspiration! 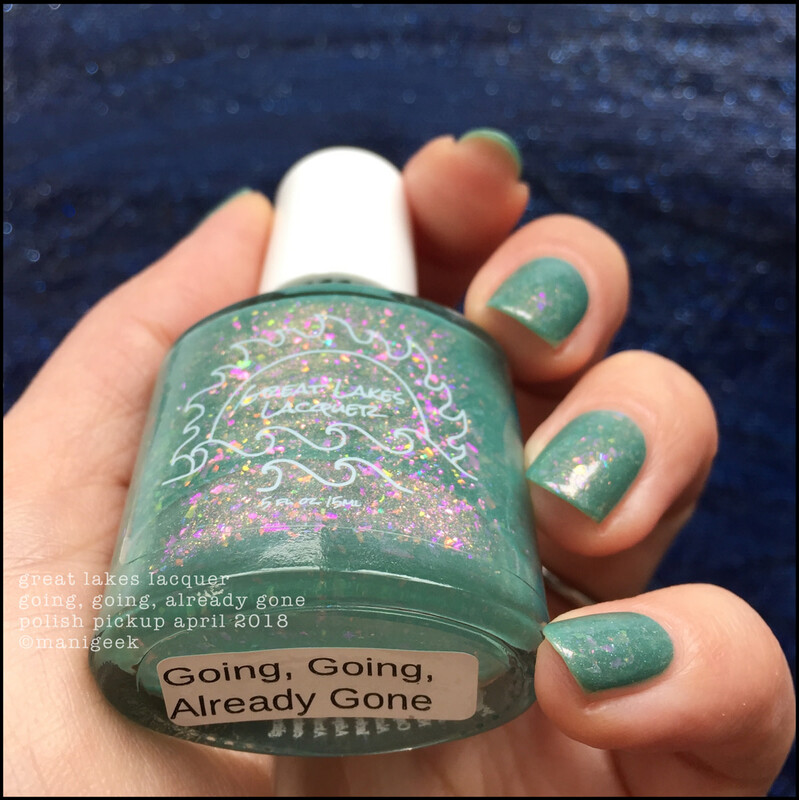 It’s got flaky iridescent bits, glowy shifty shimmers and tiny little hits of scattered holos. And the actual base shade? Whuuut? It’s perfect in a coupla coats with top. Yep, I said perfect. You should get one. You should get two – you know, one for a friend? But here’s the super-important information: you’ll only be able to get one (or two) between April 6-9, 2018. How come? Because that’s when the Polish Pickup shop opens for regularly scheduled business. If you don’t know what Polish Pickup is (aka PPU or PPickup), it’s a pretty cool deal where a whack of Indie makers come together once a month and create stuff based on a theme. This April marks the 1 year anniversary of PPU. A year ago, the store launched with 18 makers/products. A year ago, I bought 3 bottles (Girly Bits, Alter Ego, and Blush Lacquers) of 18 and remember thinking that having to choose from 18 was so hard. Today, there are approximately 130 products every month. Like, how do you even choose? How? Well, you come here and look at what Mariah is making and they you say “I want dat”, mark you calendar, and hit Polish Pickup when the store goes live. Easy, right? I know, I’m helpful like that. 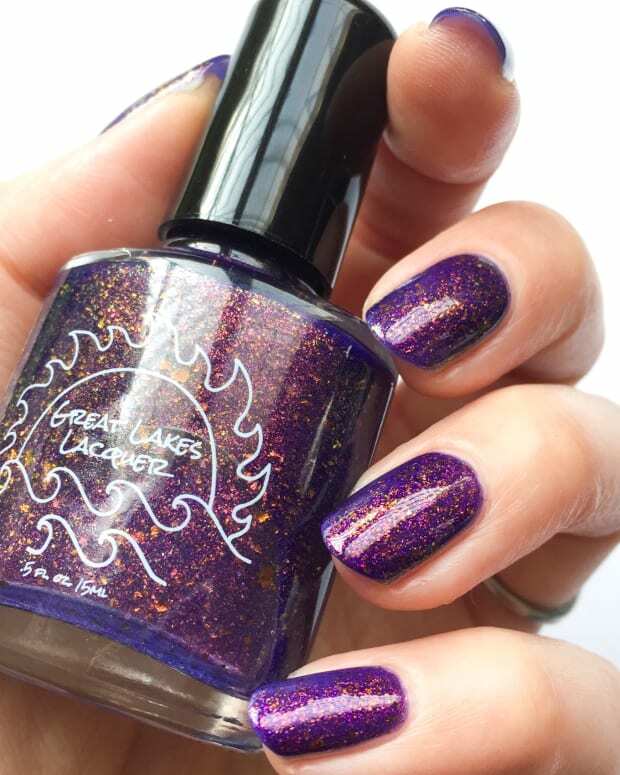 Great Lakes Lacquer Going, Going, Already Gone will only be available for purchase from April 6-9 at PPU. Lots of makers put a cap (limit) on how many bottles they’ll make for their contribution, but Mariah thinks that if you want one of these beautiful pillars of creation, you should be able to get one – she’s got no limit this month. She’s kind of great, huh? Yep, she is. 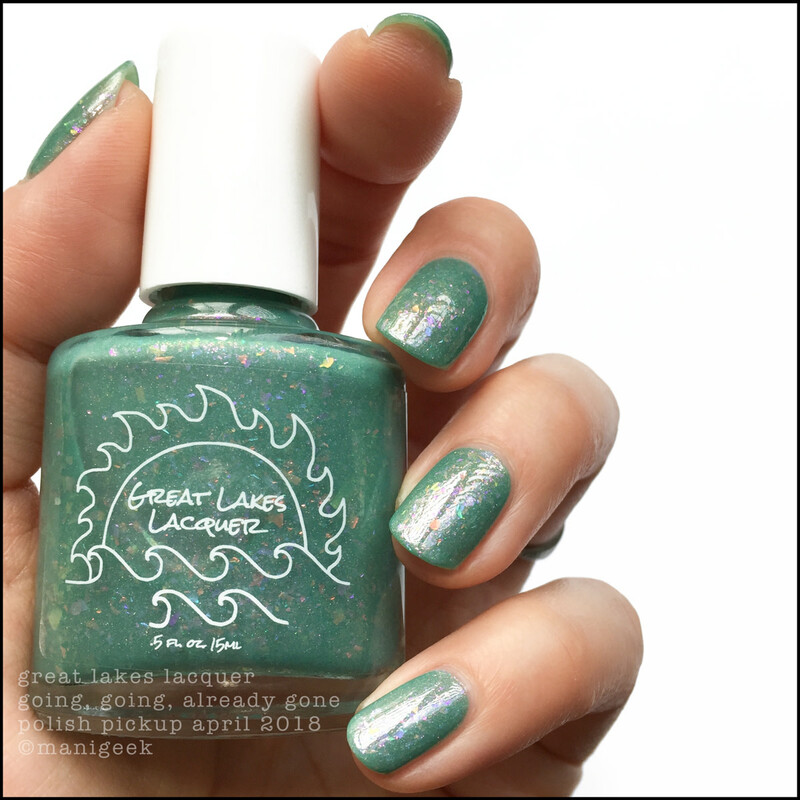 GREAT LAKES LACQUER GLASS ON FIRE: RE-ISSUE?